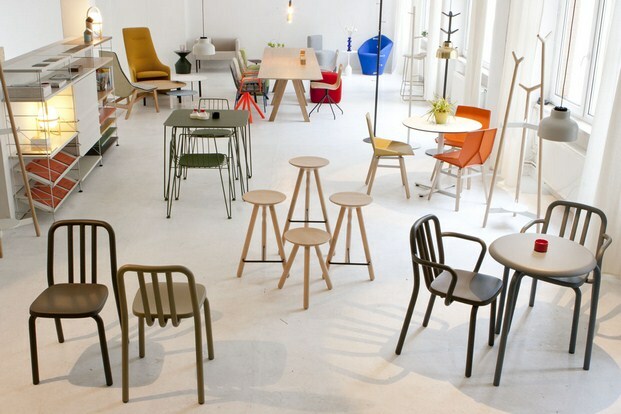 Last 3rd March, Halbinsel Showroom opened its doors at David and Galstaun Studio in Berlin. 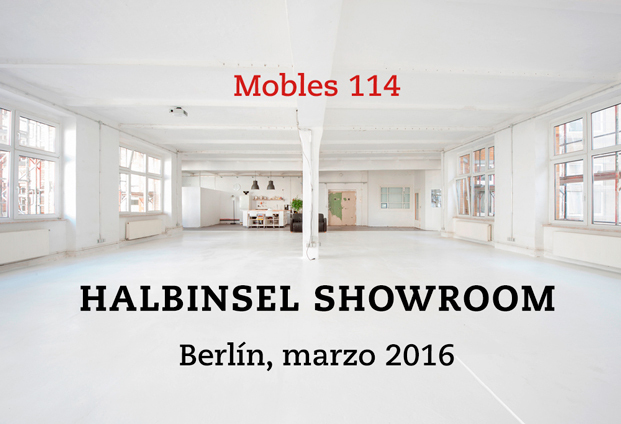 The place to be and find the best Spanish design, represented by Mobles 114 and Viccarbe. Curated as well as responsible of the nearly three-week event is HALBINSEL Design, the Berlin-based sales agency for modern Spanish product design. The focus is on the areas of Work Experience and Hospitality. This temporary showroom has been a good opportunity to see good furniture, away from the vortex of the major shows in Cologne and Milan. Mobles 114 products selected are 2016 novelties –Tube by Eugeni Quitllet, Rambla by Martín Azúa and Forc by Lagranja Studio-. And also some of the most successful pieces, for instance Tria andGreen chair by Mariscal, or Mirac coatstand. Santa & Cole has collaborated also for the lighting. Halbinsel Showroom can be visited until 23rd March.